Festival season is upon us. Yay! A super handy item to pack is a rain poncho. I have an ASOS version (you can see it in the photo where I cut the cape) but I wanted a second one. Why? Well, so I can have a change. I also made a pouch for it so I can pack it easily for travels. Will post that tutorial next week. 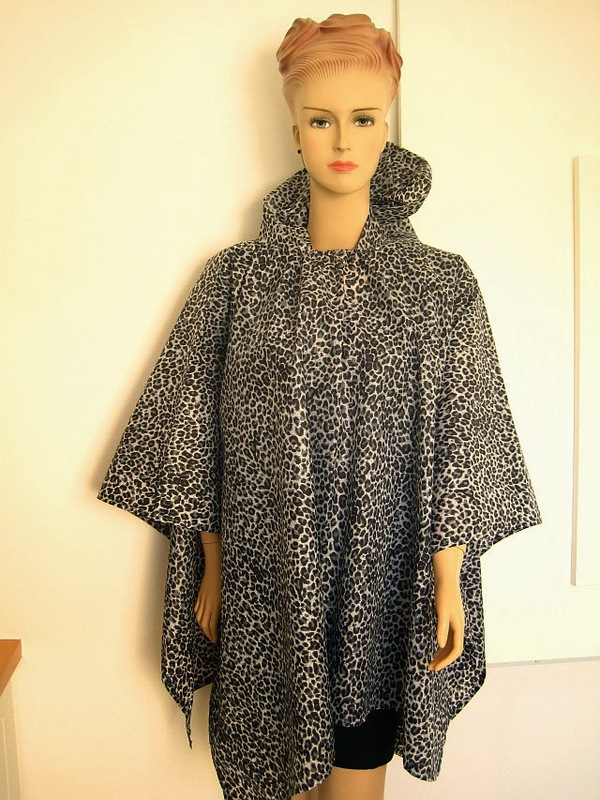 So obviously you need rain proof fabric for this poncho. 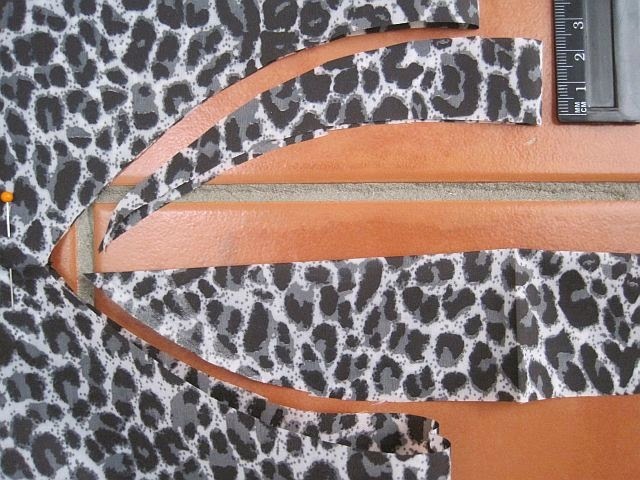 I found this piece of leopard print nylon. I’m not a fan of leopard, have to say, but that was all the shop had. The fabric had a few flaws in the print which were NOT pointed out to me. I did get it at a good price, but still. Fortunately with such a busy print you can’t see it. What’s nice about this poncho is you can juggle it afterwards if you mess up a bit with proportions. Will mention those tweaks in this post. I had to use them. Cut cape. Note where to place optional seams for snug fit. Cut your cape from your waterproof fabric or nylon. 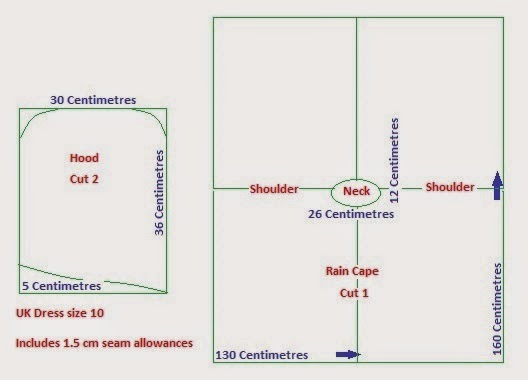 Next cut neck hole as per the dimensions in the pattern. This is one area you can go wrong. It’s so easy to cut too small or too big. 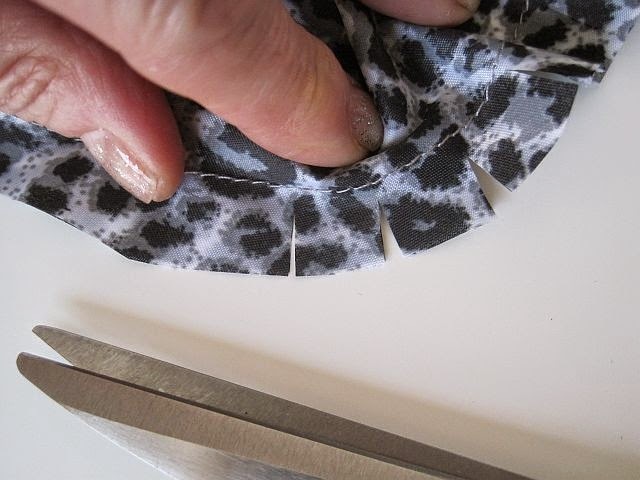 ALWAYS err on the side of cutting too small and snip away the extra needed bit by bit. Fit the cape first to see if you need to trim it. I used a pasta bowl to help get the curve right. And remember the front is cut lower than the back. 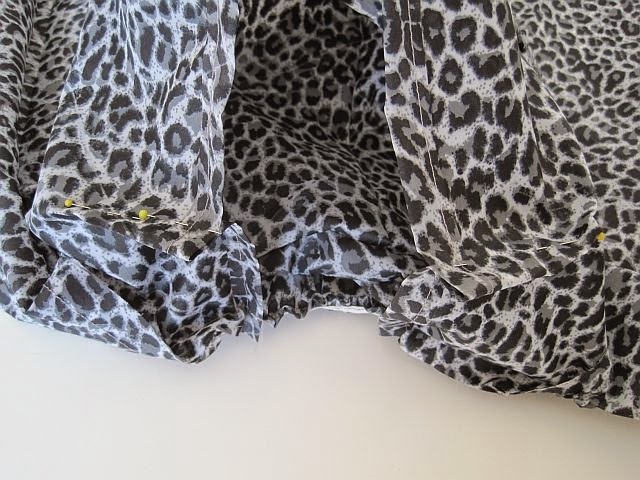 Now cut 2 matching pieces for the hood from your waterproof fabric or nylon. Cut hood. 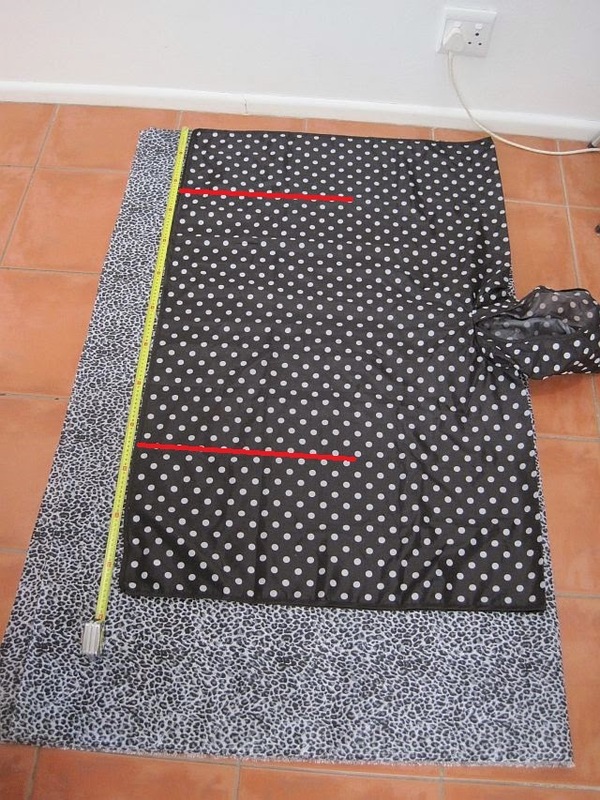 See red line for where to sew. Sew the hood pieces together. See red line for where to sew. 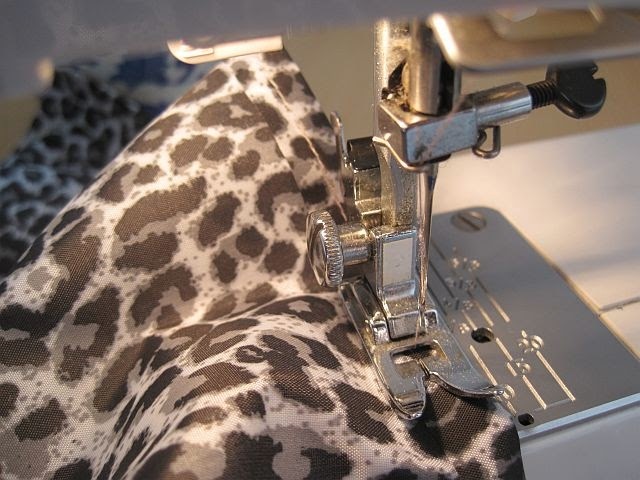 Make a seam around front or face area of hood to neaten edges. Snip the curved seams so hood opens up nicely. Use the nylon setting on your iron to press the seams in the hood open. Now pin the hood to the neck hole. See photo. And sew hood to neck. If you look in the picture I cut my neck too big and there was quite a gap in the front. So I used a piece of elastic to gather that up. You pull the elastic and sew it down at the same time. It gathers up the fabric. I also added darts to my hood as it was a bit too loose. Hope you can see the darts on such a busy print. The final bit is to hem all around the edge of the cape. 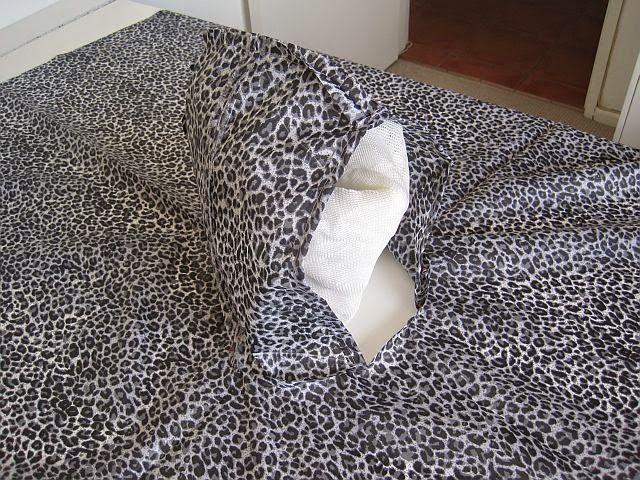 You can – optional but gives a snugger fit – also sew a seam at the sides under the arms. 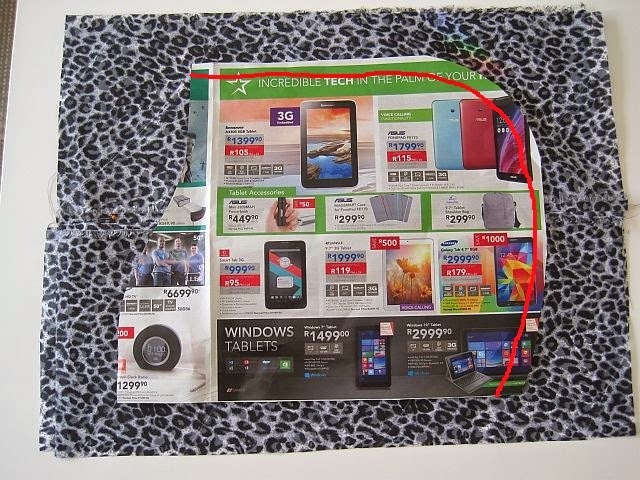 See red lines in first photo. And just like that your cape is done! 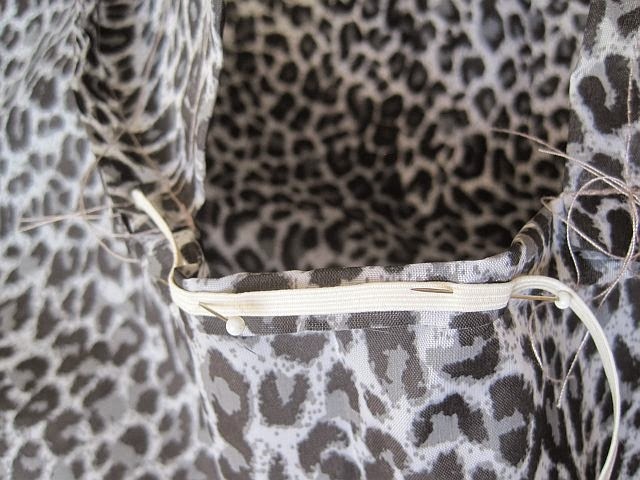 Next week I will show how to make a matching drawstring pouch to store it. And if you navigate your way to the Greenie Galleries you will find plenty more FREE sewing patterns and older DIYs. If you want a preview of upcoming tutorials then head to the Greenie Dresses for Less Facebook page. I’ve uploaded pics of things I have already made but yet to post the sewing patterns and tutorials.